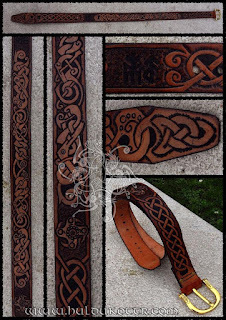 A norse belt for a customer in Germany. The carved patterns are an own design. This time the customer did not wanted the exclusiveness of this pattern, therefore we'll probably add this item to the shop quite soon, avaliable only under demand.